Make it easy for clients to get work on your radar. Clients can submit a request for more work through your client hub, accessible via a secure personalized link included with each of your emailed quotes and invoices. You can also add the work requests form to your website, or social media channels to collect new leads. Stop playing phone tag by giving new and existing clients a convenient way to get in touch. When a client submits a work request, you have the option of converting it to a quote or a job. However, if you need to gather more information before you can create a quote or a job for a client, you can schedule an on-site assessment. Your client gets a reminder before the assessment date, and the team member responsible for the assessment has all the information they need in the Jobber app. Once you have all the details in hand, you can convert the on-site assessment to a quote or job in just two clicks. Attach photos and files to work requests such as before photos or notes on what equipment your team will need. 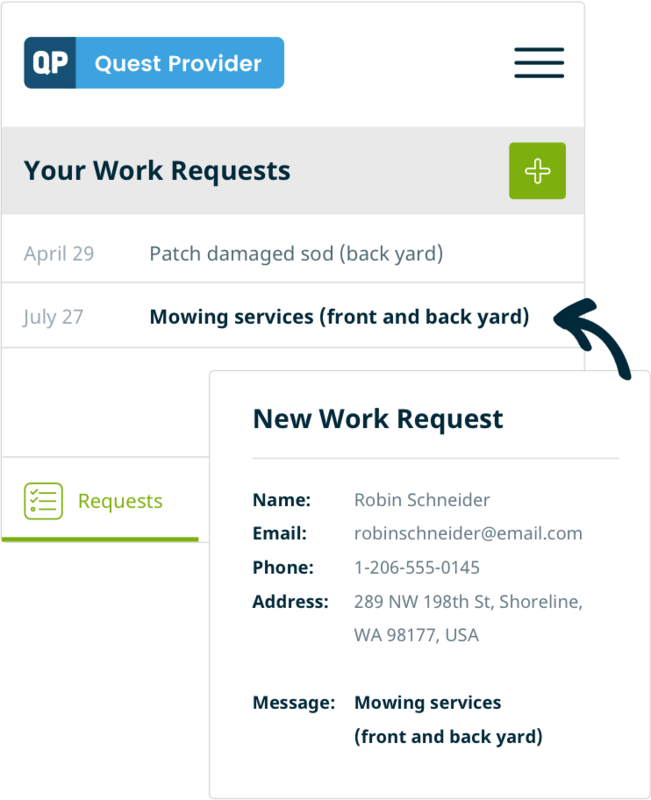 You can link notes and attachments across related clients, work requests, quotes, jobs, and invoices. More on note linking.